I am now, finally, fascinated by philosophy. 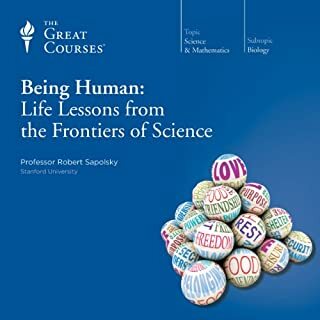 Drawing from the realms of psychology, neuroscience, artificial intelligence, and philosophy, the first half of the course examines the defining traits of being human. You'll explore the connection between brains and minds, as well as the nature of the self, time, and human free will. The second half of the course shifts from the nature of the individual to the nature of the universe. 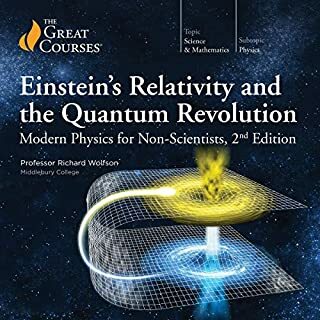 Here metaphysics, science, and theology all intersect as you consider the existence of God, the science behind relativity, and the bizarre-even spooky-world of quantum mechanics. Although the subject has ancient roots, the metaphysics you study in this course is far from an esoteric system of thought. Indeed, this material is very much alive today-at the forefront of philosophy, physics, and medical technology. When you complete this course, you will have a much richer perspective on the world around you. Virtually every lecture will challenge some of your bedrock beliefs about yourself and the universe. ever studied metaphysics? if you have, then this is a great refresher course. if not, then this may be a challenge, but fantastically fascinating! What made the experience of listening to Exploring Metaphysics the most enjoyable? Highly entertaining and informative. The narrator has a great sense of humour and explains all the mind-bending topics with great clarity. I have listened to some of the chapters many times and still love it. Mind melting in the best way. The topics, while being very complex, are explained thoroughly and gradually so I never felt overwhelmed. While it is difficult to share this content with friends I was hugely excited by the content of this course. Absolutely transformed my thinking about a multitude of assumptions and beliefs, which can be an uncomfortable thing for some but very rewarding when you manage to find someone like-minded to share with. Thoroughly recommended if you're ready to have your world rocked. Examine your existence in an incredible journey! I found the delivery delightful. The narrator had great infection and the passion of the topic was clearly there and translated well into the audiobook. I have always enjoyed lecture classes from highschool to college. The particular lecture keep my interest and had somewhat of a coversational tone. I caught myself answering allowed as if the narrator and I were having a discussion over lunch or dinner. I would have loved to have listened to this book in one sitting however the subject matter lends itself to small doses, say two to three a day. I found after listening to a few I needed to take a step back and digest the information over a day or two. Integrate it into my knowledge base, do a few google searches, and make connections with my database of learned material. I encourage others to do the same. 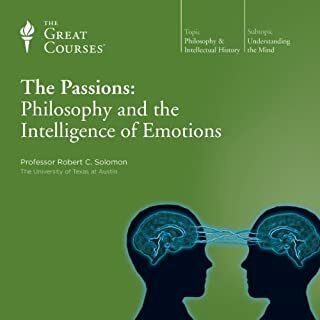 I found in practicing small chunk assimilation the course proved more valuable and facilitated an enjoyable journey of interrelated learning and synthesis of a new understanding of metaphysics in the scope of ones passions and talents. 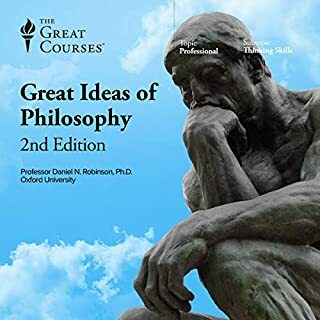 I had taken a few upper level philosophy courses during my undergraduate studies, and found them a challenge that did not provide the enjoyment I thought I would experience, and frankly I was skeptical when I purchased this title. Now having completed the course, my thirst for more by this professor and metaphysical study has been ignited. 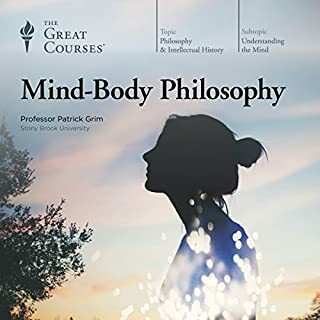 The information was presented extremely well in a thoughtfully crafted journey that built on itself to provide a comprehensive view of the discipline of metaphysics. By no means do I think it is a complete opus, and I did not purchase it with that idea in mind. I can say it was a phenomenal starting point. Informative, enjoyable, thought provoking, and complete enough to explain its points while beckoning the reader to search out extra information to enrich the experience. A+ course. But I was left feeling like the professor’s style just didn’t help make this course “pop”. It was like he was rushing through a lot of the topics/theories without taking the time to either provide more explanations/examples or let them sink in before he was off to the next topic. He also seemed to “push” his own beliefs/theories to the point of almost over-arguing. You could tell which ones he didn’t believe in because he would start off saying “there are many problems with this…” and then proceed to go through the reasons (without explaining rebuttals), and end up with some mind twisting explanation as to why “logic” dictates it must be wrong. But I am not an experienced philosopher so for all I know he may be using all of the tenants of the discipline appropriately in proving theories! Content good; Presentation not so good; But I would still consider this a solid course and worth listening to if you are interested in exploring the nature of beings and of reality itself. The content was arranged in a cohesive manner and the end of the last lecture nicely summarized all of the topics and conclusions. This was an extraordinarily good lecture series. The science that explains the best way of thinking about the problem was always at the center of the lecture. 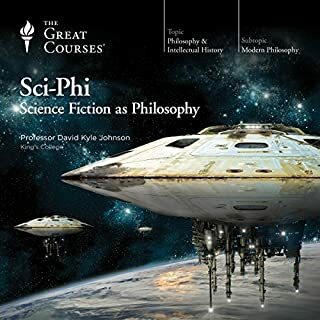 I had not realize that most of my readings about science and philosophy had met at the intersection of metaphysics so nicely until I listened to this series. 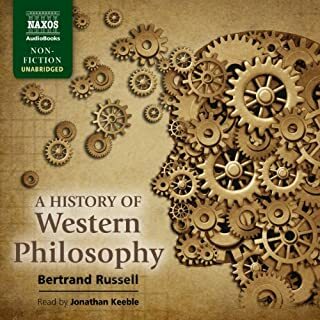 I will end up getting a book on metaphysics because I can't find any more on this topic at audible. For me, I hate reading and it's a real compliment to this lecturer because I'm even willing to read a book on the topic because of this lecture. 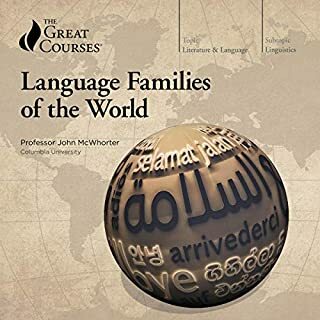 I wish the author had more lectures or even a book out there but I can't seem to find any at Amazon. There wasn't a single topic that he talked about that I didn't find exciting. He starts off by talking about the mind body dichotomy and what this means for the soul. He doesn't mince words. The soul comes about mostly from just silly propositions (and is not fundamental to Christianity until after 300 A.D.), but he says repeatedly in the series just because it is a silly argument doesn't necessarily mean the proposition is faulty. He doesn't miss a single argument on what consciousness is and gives all reasonable hypotheses their due. He looks at all the classic proofs for the existence of God (ontological, design, morality, first cause) and pretty much shows why they are silly. Now days, instead of 'by design', because Darwin has completely eviscerated those arguments, they talk about 'fine tuning' instead. The fine tuning arguments are the hardest to refute because they are the hardest to explain without understanding a bunch of physics. He does a fairly nice job. After looking at the mind he delves into the nature of the physical reality. Why Einstein is so important for our understanding about space and time and what does free will really mean and is time fundamental or an emergent property? Einstein takes time out of the universe (with his block universe) and space has no substance (unlike Newton and his bucket of water) and all is relational. The best way to look at this lecture series is not as a pointless set of discussions about esoteric matters on reality, but as a summary of the best thoughts on how multiple experts understand the world. He really got into quantum physics and discusses why it is so weird (measurement problem, entanglement, double split experiment, ...), and he gives the best summary on Bell's experiment I've heard and tells why there are no hidden variables explaining 'spooky action as a distance' and what entanglement is. Make no mistake about it. 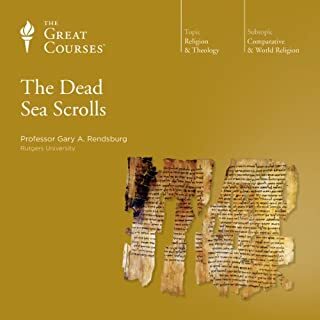 There is some references to long ago dead philosopher's, but this lecture is at the cutting edge of science and it would be a rare listener who would not learn some science that they did not already know from this lecture. These lectures really got me thinking, which is exactly what metaphysics should do. 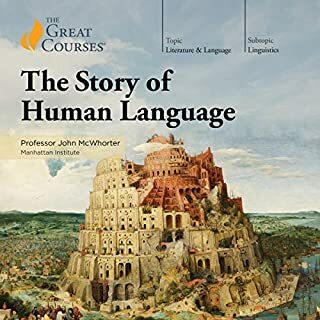 Professor David K. Johnson, (although he has sort of a nerdy voice), does an amazing job of leading the listener by the hand through each lecture. The lectures are structured and organized in a way that each one leads into the next topic. 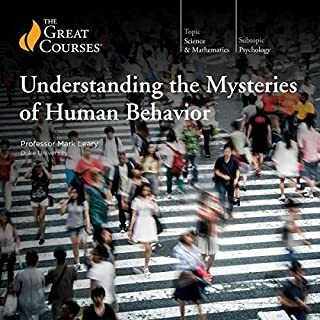 I HIGHLY recommend these lectures for anyone looking to broaden their mind or enjoy thinking outside of the box. Let me get the professor's voice and tone out of the way: Compared to more collected professors in the Great Courses, Professor David K. Johnson has a voice that could be considered annoying. The good: He is well versed in complex ideas as well as pop culture, so expect plenty of examples from pop culture when explaining big questions regarding personal identity, free will, time travel, quantum mechanics and God. I don't agree with many of his conclusions, but his enthusiasm kept me going to the end. 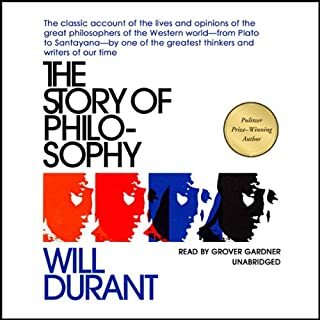 Since I had a free audio credit and it's been a while since I kept up with philosophy I thought I would listen to this . However Professor Johnson though extremely entertaining nonetheless swallows the camel but doesn't bother to strain the gnat. The camel in this case being the assumption that the brain produces consciousness . Of course we don't know that at all we only know that if the brain is damaged it affects our consciousness and our ability to perceive things . There are quite a few thinkers and philosophers were of the opinion that the brains function is to focus or filter consciousness like a radio receives radio waves . Wow that is a minority view there are still many other philosophers who do not subscribe to this reductionist view of consciousness. If you just want an entertaining review of the discipline of metaphysics you might really enjoy this presentation . For me as someone who studied Western philosophy and also Buddhist philosophy it was very disappointing even with only minimal expectations . Professor Johnson does go on a wild tangent about the likelihood of existence being a computer generated program . He makes quite an argument for it in fact as a possibility but leaves out the fact that we haven't even come close to creating consciousness, this fact renders the whole exercise a bit ridiculous. 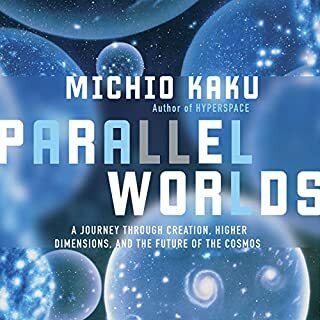 As for explaining the basics of metaphysics it's adequate..
Having recently listened to Michio Kaku's book The Future of the Mind, I am abandoning this audio book without reaching the end. There are too many similarities in the two books - the left brain, right brain and how people behave if they are disconnected - the minimizing of Consciousness to consciousness - and there must be slim pickings in the cherry bowl if that poor railroad foreman that got the bar driven through his brain and had his personality changed is trotted out once again as an example of how we must exist only in the brain because if there is change or damage to it then look how it changes behavior. At a time when there are scientists expanding their realm of exploration and research there are those who clearly want to define the box of what is acceptable and real science and what should be kept out of the box. Professor Johnson explains near death experiences with the same old reasonable explanation of chemicals, and that since hearing is the last thing to go that explains how patients can hear what their doctors were saying. 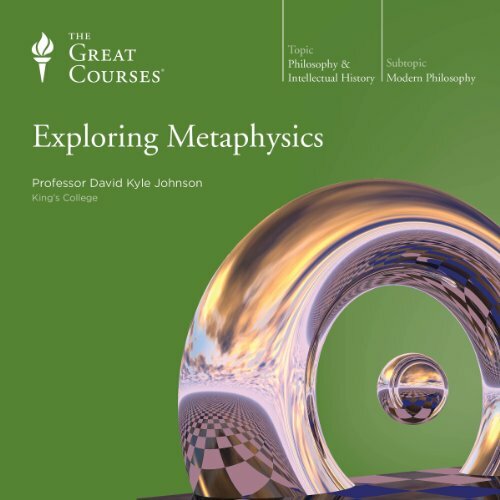 Since the title of this course includes Metaphysics, I hoped that Professor Johnson would have read expansively those scientists who have been spending decades doing research in that area. So far, only the usual (and tired) skeptical positions and dismissive explanations have been offered. The tone of voice Professor Johnson uses when describing the ideas he is arguing against is derisive. People who actually research metaphysical topics and gather information on actual metaphysical topics are who I want to listen to. Tom Campell, physicist (author of My Big TOE, Audible), Dr. Rupert Sheldrake (author of Science Set Free, Audible) and Claude Swanson (lecture only on Audible, print books at Amazon), Robert Monroe (Journeys Out of the Body, Audible), Eben Alexander (Proof of Heaven, Audible), Richard Martini (Flipside, Audible) and Jim B. Tucker (Return to Life, Audible) are audio books that actually Explore Metaphysics. The title of this audio book "Exploring Metaphysics" is false packaging. I was so pleased to find that mainstream academia has become open minded and had a course on this topic. Unfortunately, it's the same old safe, snobby, limited and skeptical view of reality. What did you like best about Exploring Metaphysics? What did you like least? The personal identity and computer simulation sections were interesting. 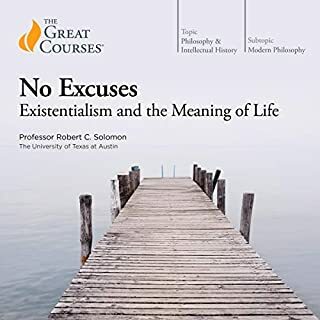 Professor Johnson presents an excellent overview of metaphysical theories, but he unfortunately lets his biases slant the entire series toward a dogmatic belief in mechanistic materialism, when he never explains why he begins with these premises except "that's how it is." (There is some mention of the scientific method, but an epistemology professor would tell him that he has no good reason to assume as much as he does.) He never even mentions that his core assumptions are just assumptions, and he treats metaphysical questions that a serious philosopher would still consider open-ended as essentially closed books, such as free will, the mind, quantum mechanics, and time. A serious philosopher will mention the strengths and weaknesses of various arguments; this professor also does this to an extent, but also inserts his (often cheesy) commentary that denigrates views he disagrees with, and does not always give charitable interpretations (though sometimes he does). Also, for a series on metaphysics, he doesn't even mention two of the most famous critiques of metaphysics: those of Hume and Kant. Perhaps he fails to mention these philosophers much at all because their skeptical attitude would derail his dogmatic assertions that we know for certain about some metaphysical questions. Do you think Exploring Metaphysics needs a follow-up book? Why or why not? It needs another lecture series from a different professor to give a broader perspective. 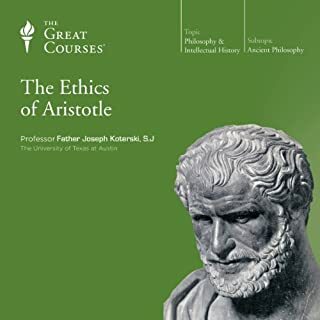 Go into this with an open mind, listen to other courses on metaphysical topics as well to get a broader perspective (the Great Courses series on Free Will and Determinism is excellent), and try to be charitable to Professor Johnson, even if he is not charitable to others. I would definitely recommend this course to a friend who can handle it. It is really enjoyable to listen to such philosophical subjects from a professor who does not "force" his personal believes into the audience mind. The prof. has done a great job examining the subjects that he covers in his lectures. Have you listened to any of Professor David K. Johnson’s other performances before? How does this one compare? Have not, but planning to do so. We need more teachers like Professor David K. Johnson. 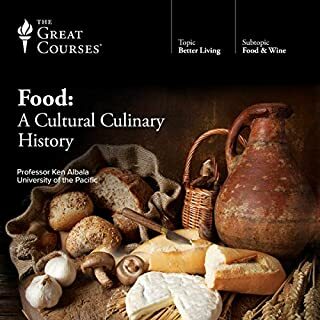 Would you try another book from The Great Courses and/or Professor David K. Johnson? Yes, there are others in the series that I like. Would you ever listen to anything by The Great Courses again? What about Professor David K. Johnson’s performance did you like? Quite boring. The professor also has the unfortunate habit of using a really stupid voice when stating an opinion he doesn't agree with, it seems really childish, and kind of demeaning to the whole topic. Covers the landscape of metaphysics well, perfectly fine as an introduction to the subject. I liked the readers style found him to be humorous and a good communicator of the concepts. 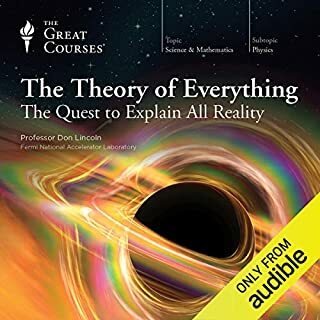 ( some reviewers didn't like his voice - to fussy in my opinion, didn't bother me one iota) Enjoyed it and if you are interested in learning about the ultimate nature of reality this is a good place to start. I’m a post grad philosophy student and I found these lectures stimulating and useful. It’s a very science heavy approach, which is fine. It focuses quite heavily in the early lectures on philosophy of mind, personal identity etc. and in latter lectures on an exploration of the metaphysical implications of our currently best scientific theories which inform our knowledge of the physical world, diving into god as the filling in the sandwich. Very well presented by an enthusiastic and entertaining lecturer. He’s not going to be everyone’s cup of tea (I like him - and I really want to try sweet potato fries from Johnny Rockets, whatever that is) Seriously, if you are doing a general philosophy course at undergrad or even post grad level, you will likely find this useful (obviously depending on your specialism, I mean check out the chapters and if you consider yourself an expert on it all, firstly, well done, and secondly ok, maybe not for you. 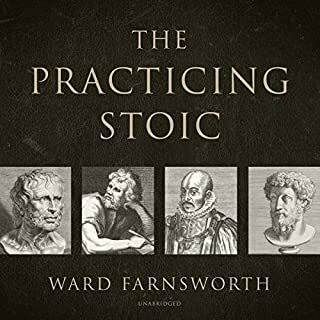 But I consider it unlikely that you won’t find something of interest) and I still think it’s very accessible for the casual listener, as good philosophy should be. The reading list and notes, as always in a Great Courses programme are all you could ask for. Seriously, if you are interested in metaphysics, or even if you are studying metaphysics and could do with a bit of breadth along the lines I’ve described, I don’t think you’ll be disappointed. Where does Exploring Metaphysics rank among all the audiobooks you’ve listened to so far? What didn’t you like about Professor David K. Johnson’s performance? One thing that helped was slow the speed down to 90. Also listen to an chapter and then read the course material. The narration is spoken with an obvious passion for philosophy and is way better than the monotonous monotone of some narrators. Was Exploring Metaphysics worth the listening time? There are some great thought provoking ideas in this book. Whilst some of the material is too hypothetical and ungrounded, other elements cause you to really think about the world differently. Metaphysics is the study beyond every day physics and the lecture explores the ideas of (for example) whether the mind exists, time and space. I'd recommend this book if you fancy a look at the world from another dimension. After a short listen to the preview it seemed very interesting although the readers voice was a little odd. After buying it and listening, I could not stand the high machine gun like staccato rendition of a subject by the professor it probably would have been very interesting indeed. If a reader of some ability was to comfortably pass on this information I would really like to "get into" Metaphysics. What a shame, the other courses have been very good. What would have made Exploring Metaphysics better? Any thing not narrated by the current author. If you could play editor, what scene or scenes would you have cut from Exploring Metaphysics? I really would like my money back.